Living Waters Catholic Reflection Center in Maggie Valley will be having a weekend retreat hosted by Fr. John Eckert for all men who desire to strengthen their Catholic Faith on Friday October 20th – Sunday the 22nd. The theme of the retreat will be Discipleship and there will be five conferences. 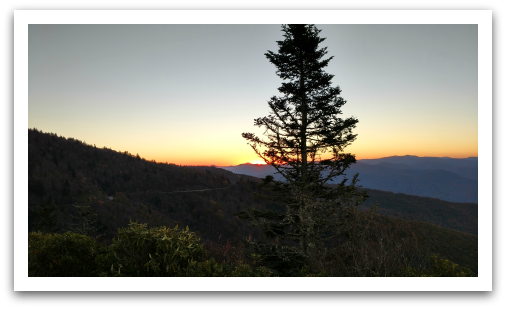 The fall colors will be at their peak and we will plan on going up to Waterrock Knob Overlook to view the sunset and enjoy God's beauty. Surrender to the Lord and Retreat with us to the mountains in Maggie Valley for a time of reflection. To register, please contact Charlie at 704-724-5713 or charlie.simoneaux@gmail.com. The cost is $195 per person which includes meals. If you are interested, you must register by Sept 10th. Please join us for this rewarding weekend. This retreat is a great weekend away. Check out the photos and audio from previous years. 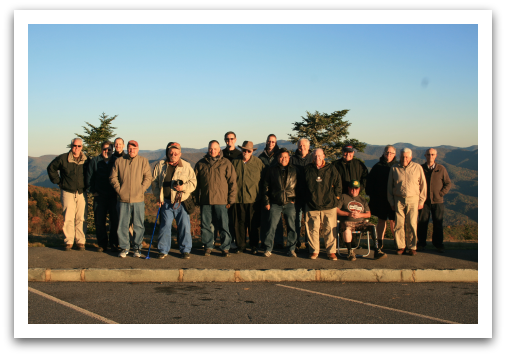 The Men of Veritas faith group offers the adult men of the parish the opportunity to gather as brothers in Christ to: grow in their love for Christ and others; enhance their spiritual lives through a better understanding of the Catholic faith, Scripture, and tradition; and enjoy the fellowship and support of other men as they share the challenges of living their Catholic faith in today's world. All men are invited to join us on the second & fourth Saturdays at 8:30am (before the 10:00am Mass) for fellowship and discussion to help grow our faith. Want to learn more? See our Informational Flyer. For more information contact: Charlie Simoneaux. Did you miss our retreat, or want to make a personal retreat at home? All of the talks by Father Winslow were recorded and are here for your convenience.